Tender, magical and captivating - a story of family, friends, and the unlikeliest of romances . . .
Elizabeth's sister Saoirse is a red-haired whirlwind, always leavng behind pieces that Elizabeth struggles to pick up. One of these pieces is Saoirse's 6-year-old son Luke, a quiet, contemplative boy. When Luke is playing in Elizabeth's garden one day, witnessing the latest scene between his mother and his aunt, a friend named Ivan walks into his life. This unexpected and rather mysterious friend will change Luke - but will have an even greater impact on Elizabeth. Always capable and self-contained, Elizabeth finds Ivan creeping under her skin and beginning to change her life in ways she could never have imagined. With all the warmth and poignancy fans have come to expect from Cecelia Ahern, this is a magical novel, and a suprising love story. 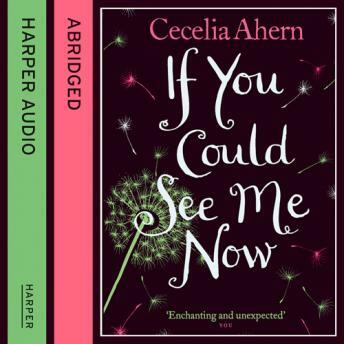 With all the warmth and poignancy fans have come to expect from Cecelia Ahern, this is a novel full of magic, heart and a suprising love story.